The petite sessions are a quick and affordable option for all mamas. I offer these in 2 formats, the personal petite and the group petite. Personal Petite - A personal petite session is a short and intimate session, sessions can take place in studio or at a location of your choice (travel fee may be applicable). Sessions last approx 20-30 minutes. The aim of the personal petite session is to provide you with a small of images so you can choose your favourite.These sessions are perfect to celebrate breastfeeding as well as motherhood. Personal petite sessions are $295 and include the session and 5 digital images. Group Petite - Group Petite sessions are what I describe as speed dating for photos. Group sessions are done on location in a group setting with 5-15mums joining together to celebrate motherhood together. Mums rotate through each mini location (normally 2-3 spots) and spend 5-10 minutes at each spot. 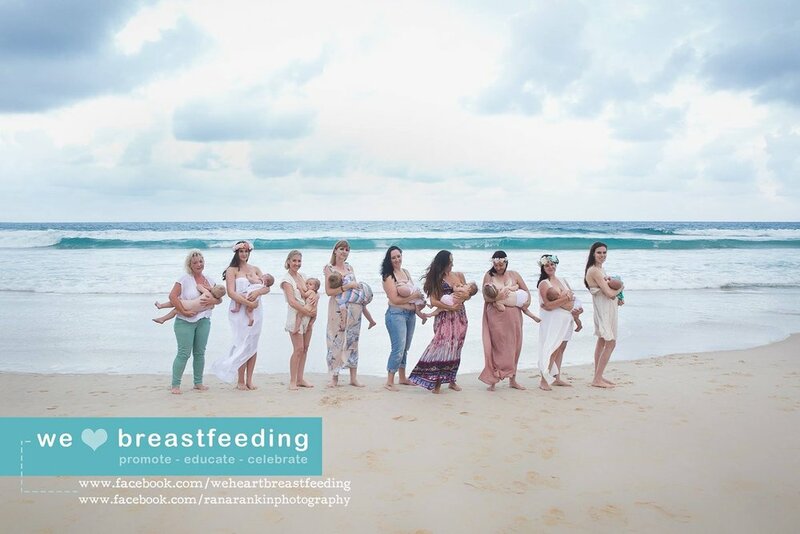 Group sessions often end with a group image if requested by the mums. Again these sessions are perfect to celebrate breastfeeding as well as motherhood. I love to travel for group sessions - a minimum number of mums is needed for travel sessions, please contact me for more info.